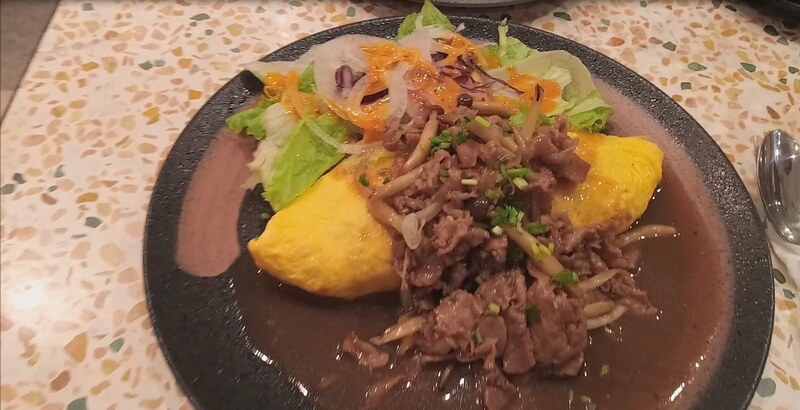 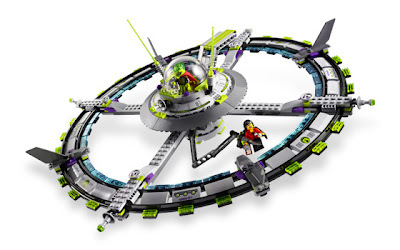 come with an alien mothership. 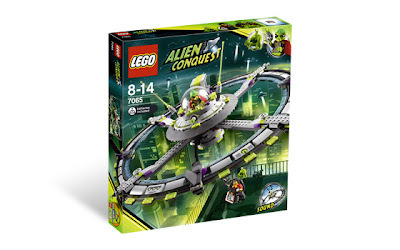 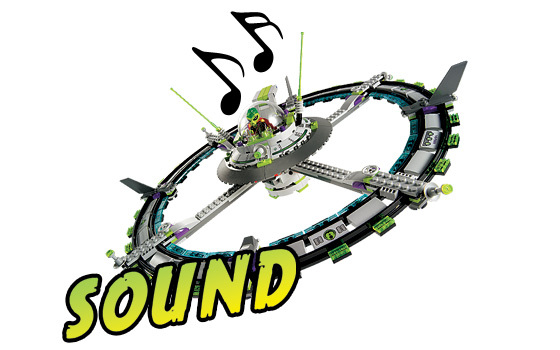 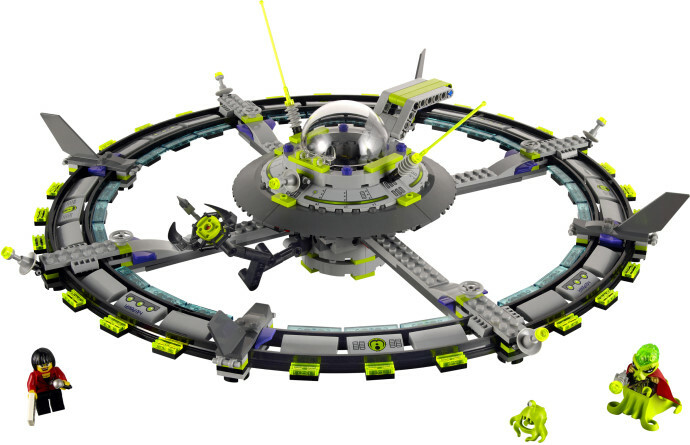 the mothership has spinable outer disks, an abducting claw and a sound brick. also included an alien clinger. 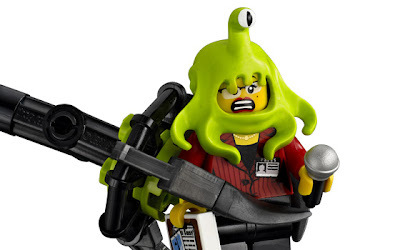 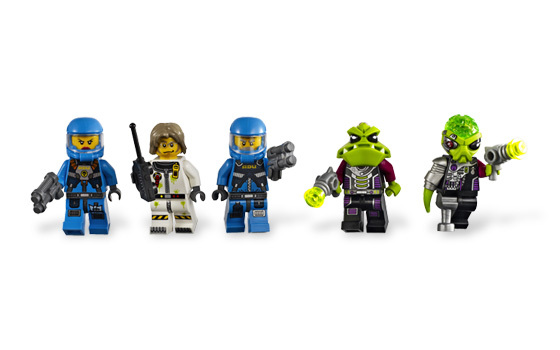 minifigs included an alien commander minifig and a reporter minifig.